The house of Cala Liberotto is an ideal spot to spend your holidays in one of the many beautiful places in Sardinia. With 3 bedrooms, two others with double bed and one with bunk beds, two bathrooms, one of which is in one of the bedrooms, a corner kitchen and a living room, the house is perfect for family holidays or to be shared among friends. With direct access to the beach, even the youngest can fully enjoy their holidays. The villa is situated at 10km from Orosei, in the locality of Sos Alinos, which provides all tourist services within a couple of miles. You can reach us easily from Olbia in 45 minutes by car or by the ARST or Deplano bus companies. 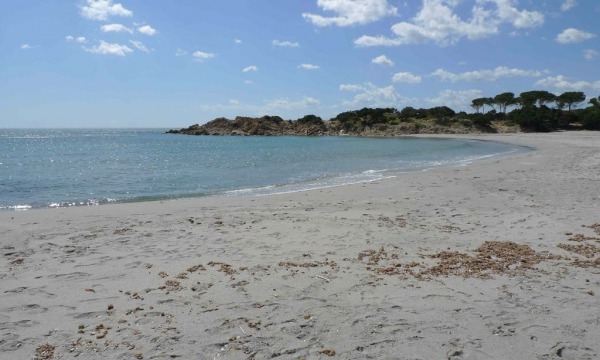 The village of Sos Alinos offers all the necessary tourist services even for those who do not have a car with them and the surroundings of Cala Liberotto are rich of a wide range of walks to discover the area. Die Preise vertsehen sich pro Woche (nur Unterkunft) und können je nach Anzahl der Gäste varieren. Falls eine Kaution oder/und anfallende zusätzliche Kosten (Reinugung am Ende des Aufenthalts, Wasser, Strom oder gas) gibt, die vor Ort zu begleichen sind, dies wird immer in der Beschreibung des Appartments oder Ferienhauses spezifiziert. Sind Sie an andere Unterkünfte unserer Netzwerk interessiert? Bitte klicken sie hier und beschreiben Sie ihre Reisevorstellung im Feld 'Notiz'. Wir werden Ihnen unverbindlich und gerne bei der Vorbereitung der Reise helfen! Wie Haben Sie Uns Gevunden?